3-rail deck rail with handrail on top. 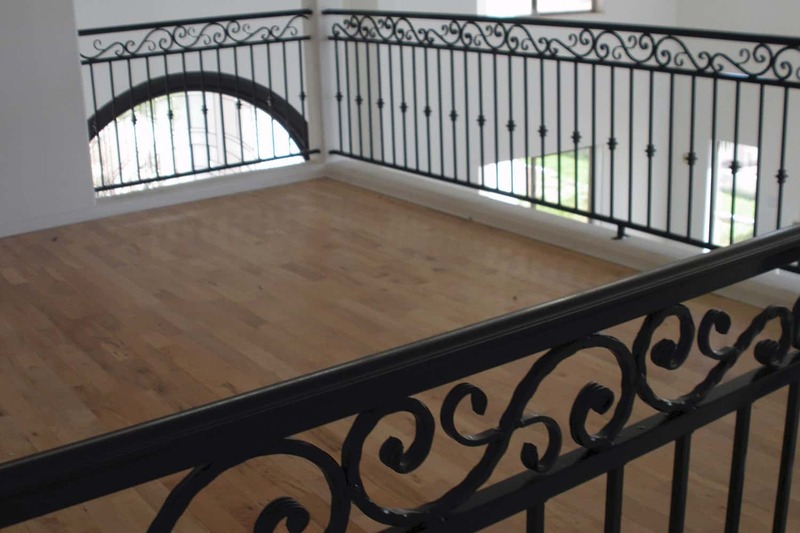 This 3-rail deck railing with the handrail on top serves as a beautiful safety rail for an upstairs balcony or patio deck. 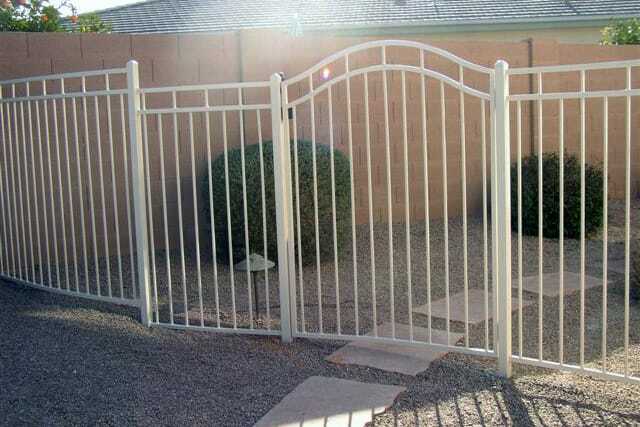 With the hand-hammered scrolls between the top 2 rails and the knuckles on alternating pickets you have a classical look. 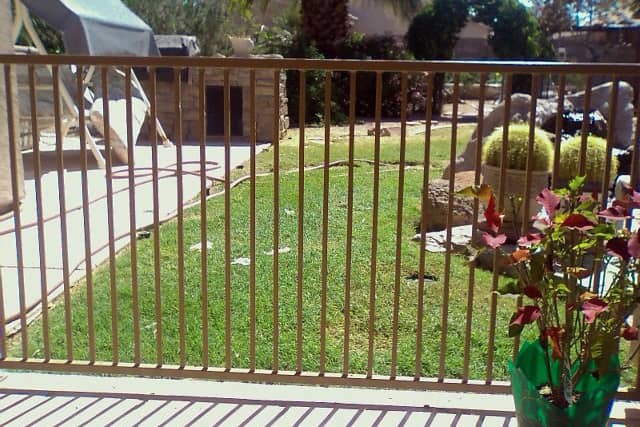 This 3-rail fencing uses rings between the top 2 rails and pickets to give a nice look to a yard fence. 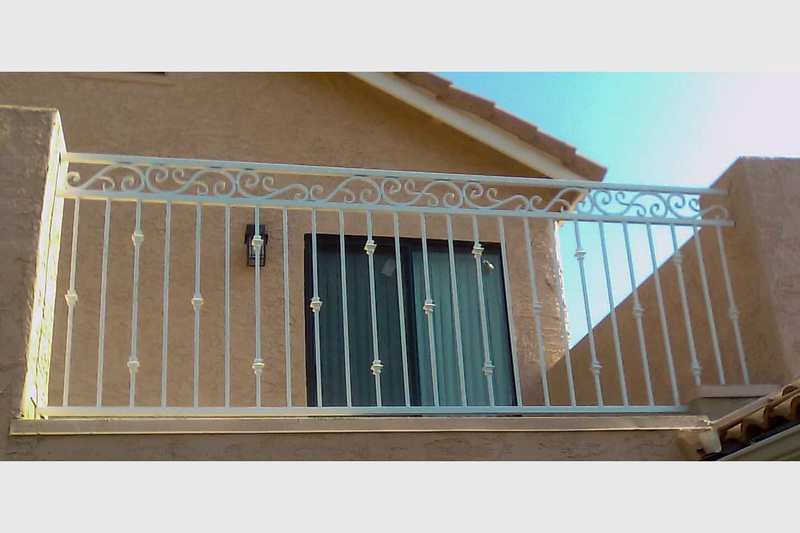 This 3-rail "mission-style" fencing gives some an added decorative look at the top of the fence without extra ornamental treatment. Simple view fencing on a masonry pony wall. 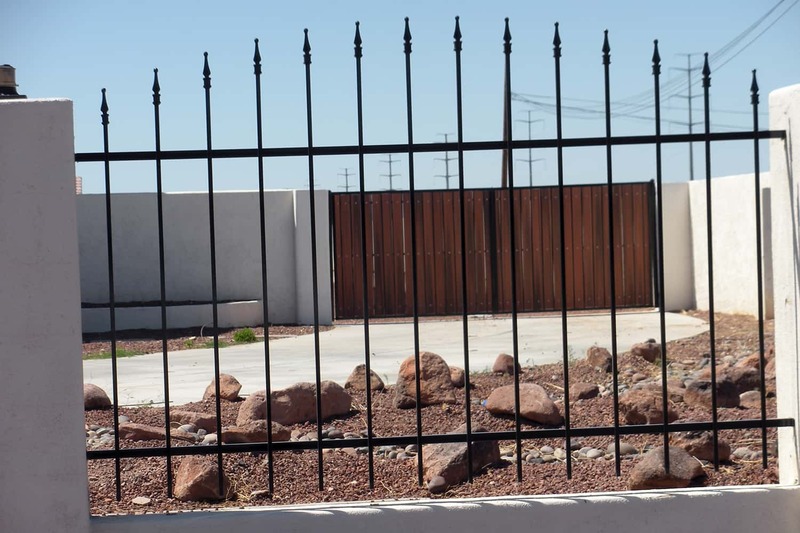 This short but effective fencing adds to the height of a climbable masonry wall with a nice looking, relatively simple wrought iron fencing application that discourages climbing over from either direction. 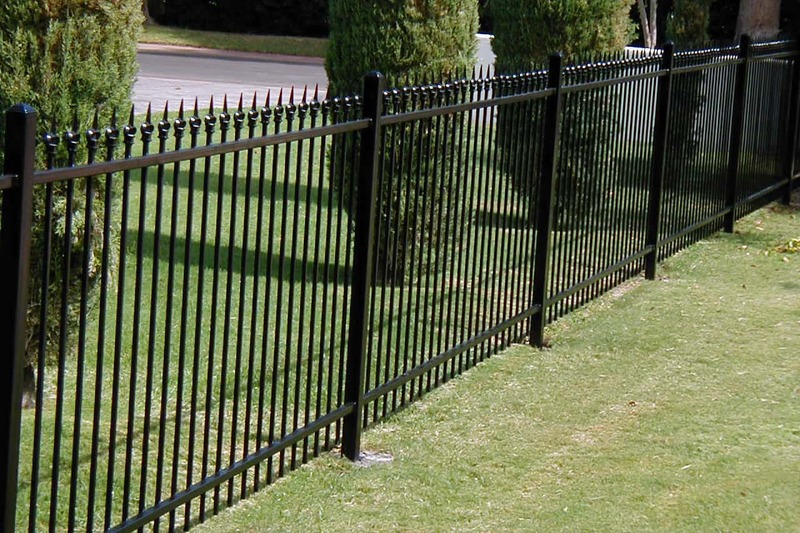 This wrought iron fencing tops the masonry wall to give a finished look to the area and discourages climbing over the wall. 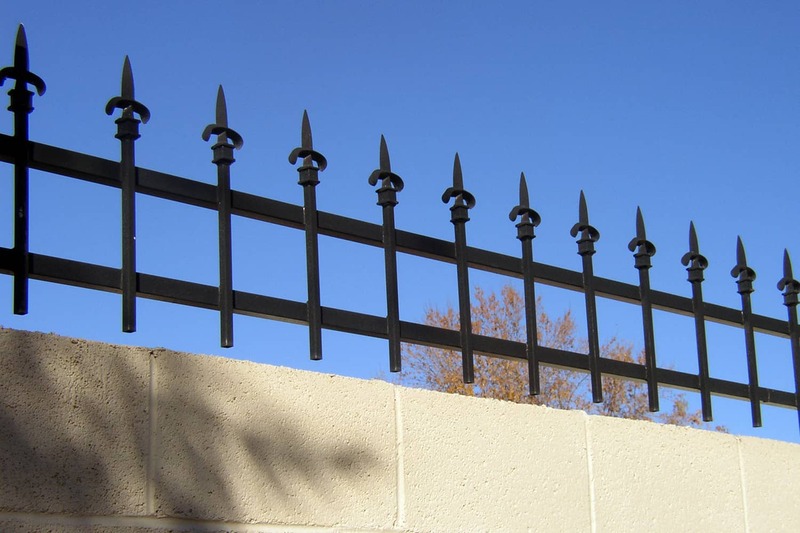 This simple but elegant view fencing uses spear tops on the pickets to provide a classical look while discouraging climbers. Our electrostatically applied polyurethane paint puts a plastic shield on the steel helping to protect it from both water and sun damage. 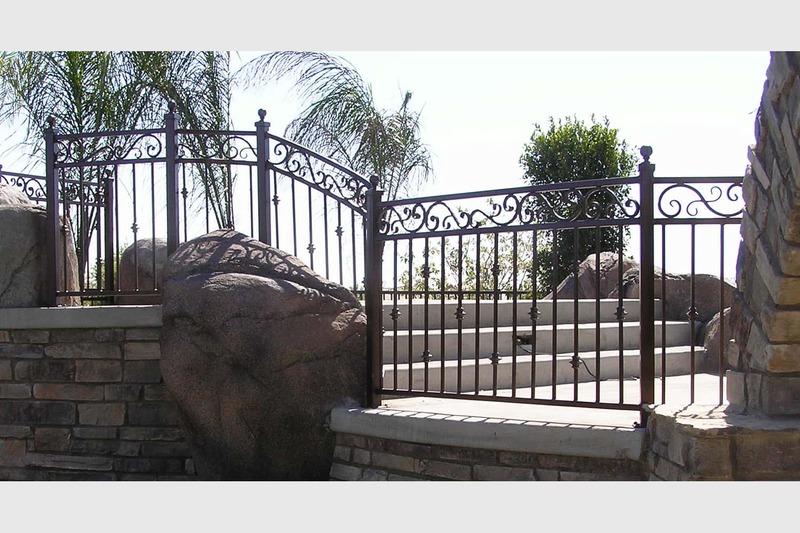 The 3-rail decorative patio railing shows the fencing shaped around landscape boulders and securing the edge of a raised patio. Simple view fencing arched by the pickets. 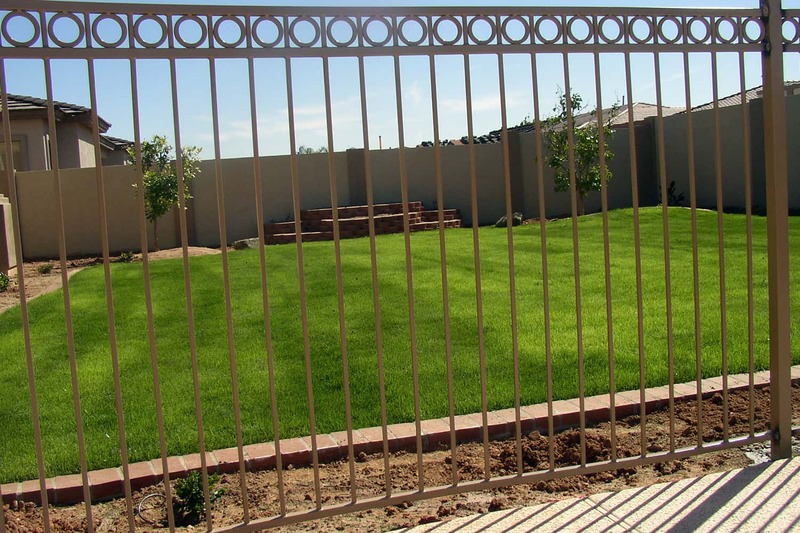 This fencing uses different height pickets to create an arched look. The spears on top discourage outsiders from climbing them. 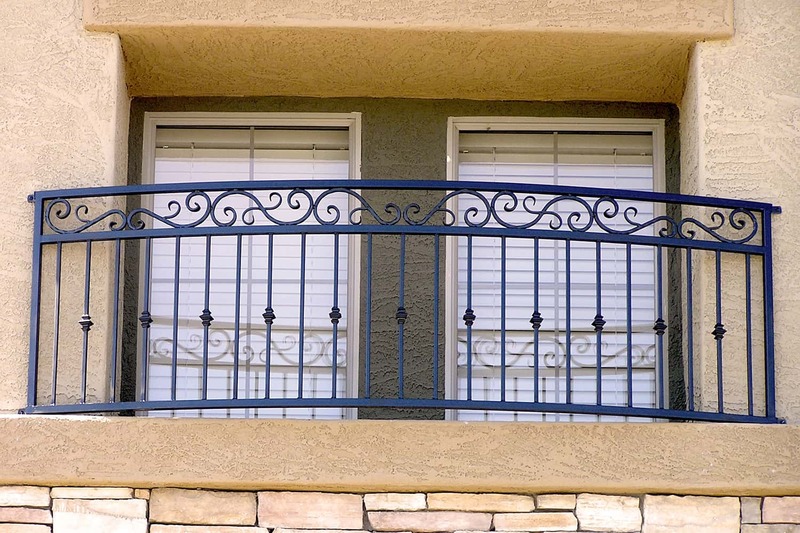 3-rail ornamental iron deck railing with hand-hammered Italian scrolls.